Before choosing a career path, you may ask yourself, “Will this job be rewarding? Will it make a difference in the world?” If you’re looking for an in-demand career that can provide you with meaning and satisfaction, social work is a great field to consider. Social workers provide assistance to people experiencing a range of physical health, behavioral health and environmental challenges. While social work can be demanding, it is also fulfilling as you get to help others in need daily. Here are a few reasons why social work is one of the most rewarding careers. Being a social worker involves communicating with people from all types of backgrounds. This will in turn deepen your understanding and knowledge of human relationships and lead to better communication and leadership skills. Also, social workers operate with a healthy level of autonomy as they help clients discover and decide how to achieve their goals. This independence can be a valuable benefit for people who desire a more flexible work schedule. The U.S. Bureau of Labor Statistics projects that the social work field is growing faster-than-average over the next seven years, with a 16% increase in employment opportunities compared to all other occupations. This is great news for undergraduate and graduate students, who often struggle finding employment upon graduating. Also, since the demand for social workers has been steadily increasing, it’s likely that compensation for qualified applicants will become more competitive. According to Forbes, social work ranks in the top 10 most meaningful occupations. Social workers make positive impacts not only on the clients they serve but also on the community. This can provide a real sense of accomplishment for those who dedicate their lives to this field. For those committed to helping others and bettering their communities, a career in social work can provide countless personal rewards. 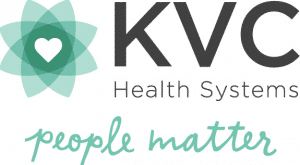 KVC West Virginia is always hiring social workers. We are a private, nonprofit organization that provides in-home behavioral healthcare, youth substance abuse treatment, foster care, and in-home family preservation and reunification services to strengthen families. Click here to find out employment opportunities near you.